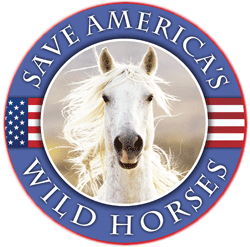 “At SFTHH our main thrust is the plight of our American Equines, be they wild or domestic, but in our battle against government agencies and bureaucracies, hell bent on destroying wildlife, we see other species that are suffering similar struggles. When such issues are brought to our attention, as with the horses and burros, we share them with you, our valued readership and partners. It is our hope that through the sharing of honest information we can, collectively, make this planet a much better place for all of us to live upon.” ~ R.T.
We were very disheartened to hear that the US. Forest Service has decided not to list buffalo as a Species of Conservation Concern (Report American Bison A Species of Conservation Concern 02-04-2018, PDF) on the Gallatin National fForest in their Forest plan revision. The US Forest Service (USFS) has determined that there is not substantial concern for the future of wild buffalo on National Forest lands even though wild buffalo are currently ecologically extinct and can no longer fulfill their keystone ecological roles in the wild. Representatives from the USFS stated they will designate wild buffalo as having a “distinctive role and contribution” on the National Forest even though there are no actual buffalo currently living on the National Forest. This designation actually allows for hunting and other uses of wild buffalo on the National Forest while giving no protection to these imperiled herds. Yellowstone National Park again recommended a total kill goal of 600-900 wild buffalo this winter. This is the same kill goal that YNP announced last winter, then exceeded it by 200 animals, resulting in the killing of close to 25% of the total buffalo population. In order to meet their kill goals Yellowstone National Park proposes to capture buffalo and ship them to slaughter throughout the winter. Capture operations will commence as soon as 200 buffalo are seen past Mammoth and continue mercilessly until kill goals are met or exceeded. In addition to announcing plans for the annual buffalo slaughter, YNP bison biologists reported some disturbing trends in the current populations. 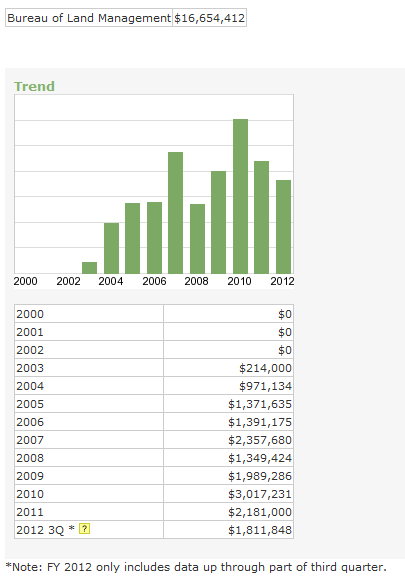 They reported an increasingly dramatic change in the proportion of males to females the Yellowstone herds. Females and young are killed in greater numbers than males in capture for slaughter operations. This is disturbing the natural balance of the Yellowstone herds and currently males are outnumbering females in alarming numbers. Shockingly, this information has not in anyway impacted YNP’s plans to kill buffalo this winter. Tribal representatives were the only voices heard in opposition to the ongoing slaughter being conducted by YNP. Multiple tribal representatives stated their serious concerns that large culls every winter are not sustainable and could eventually seriously impact their ability to exercise their treaty hunting rights. Marty Zeluski, state veterinarian representing the Montana Department of Livestock, was quick to point out that treaty hunting rights are only a “tool” for the IMPB to meet their population reduction goals. 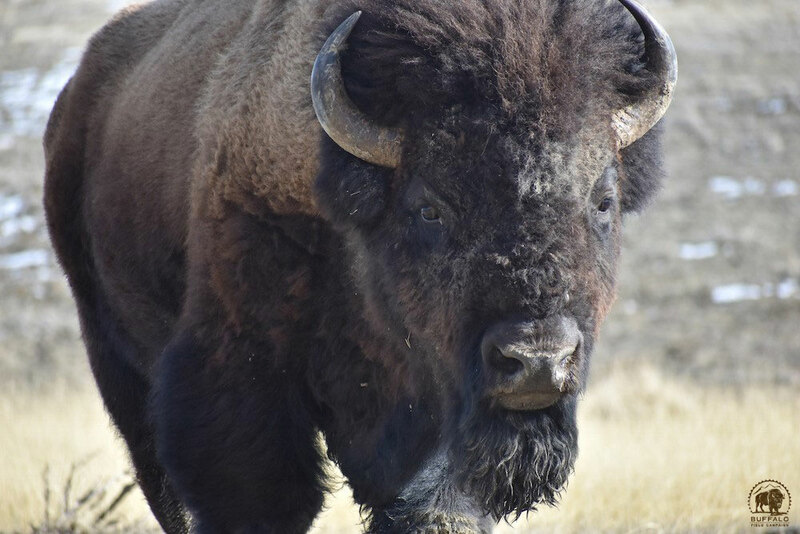 Buffalo Field Campaign supports treaty rights and is committed to wild free roaming buffalo to fulfill treaty obligations and to ensure that wild buffalo persist for generations to come. The dangers of large culls are very clear to BFC as the Yellowstone buffalo herds, the last hope for wild free roaming buffalo in the United States, are pushed ever closer to extinction by misguided and dangerous management on the part of Yellowstone National Park and the State of Montana. The very entities entrusted to protect these precious animals. In another piece of shocking and terrible news for the future of wild bison, Montana’s Department of Livestock announced that they have applied to the US Forest Service for a renewal of their permit to operate a buffalo trap on Horse Butte, the traditional calving grounds of the endangered central herd. The Horse Butte trap has not been put up since 2008, and Horse Butte is now part of the buffalo’s year-round habitat, where hazing no longer takes place. 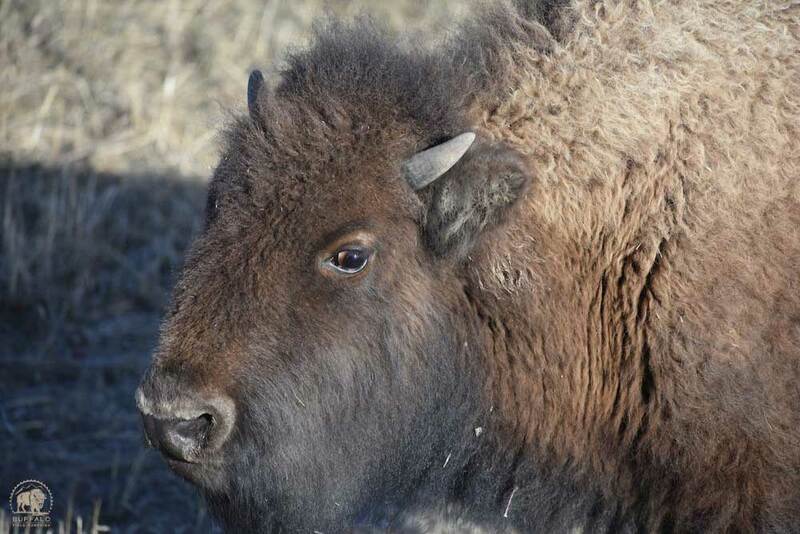 The DOL asked that language in the operating plan that indicated trapping buffalo on Horse Butte was a thing of the past be removed, leaving an opening for such trapping to again occur. There was no opposition heard at the meeting to removal of language that would preclude this action on the part of DOL and no further discussion was held on this shocking development. Buffalo Field Campaign will be following this story closely and we stand ready to defend wild buffalo on Horse Butte with every legal avenue available to us, and with our bodies if necessary. In face of all of this, Buffalo Field Campaign remains committed to the defense of sacred wild buffalo. We will never give up and we will continue to love the buffalo and work hard for their protection and long term safety. We are working hard and have high hopes for the success of our Endangered Species Act petition, to gain strong protections for the Yellowstone Buffalo. Please help us by spreading the word about the plight of these gentle giants. Consider coming to our headquarters to volunteer in field. Thank you so much to all of our supporters and friends. We could not do this work without you. I get these emails too. The wild horses, the buffalo, the wolves, mountain lions, coyotes – all our wild creatures are being pushed to the brink. Apparently with absolutely NO thought of how we – humans – couldnt survive without them! Reading Path of the Puma by Jim Williams. One more animal that has already been exterminated hundreds of years ago – not safe now anymore than allthe others. The slaughter of all these species has to stop. How is it that sovereign nation treaty rights are considered by a government official as nothing but a “tool” for their own bureaucratic ends? I’m not up to speed on this whole situation but for an official to go on the record saying this is beyond cynical. It shows our nation still hasn’t reconciled our violent history and hasn’t a shred of humility even today. In the context of so many white people I’ve heard over the years deride indigenous peoples for a perceived mass killing of anything they could eat, it bears repeating that it was white people who nearly succeeded in the extinction of the Buffalo on this continent (with the express intent of removing the principal food source for those who lived here for at least thousands of years). That our installed government is managing the recovered herds so thoughtlessly indicates our “wisdom” is seriously deficient and remains deadly. In parallel with the similar wild horse and burro “management” regimes, one has to consider the misogynistic emphasis on removing, mutilating and killing off mostly females and young. This is nothing but hubris disguised as science, and anyone who is a Christian must look in the mirror and ask how this toxic approach to the Rest of Life could in any way be a legitimate social or spiritual path. The gifts we inherited are not “tools” or resources to be dispassionately exploited without consequences, both now and in the hereafter. Surely we can evolve into a better species ourselves, can’t we? Somebody prove me right! “Marty Zeluski, state veterinarian representing the Montana Department of Livestock, was quick to point out that treaty hunting rights are only a “tool” for the IMPB to meet their population reduction goals”. On June 6, 1874 , Harper’s Weekly featured a cartoon about the decimation of the buffalo in the American West. In 1871, R. C. McCormick, the congressional delegate from the Arizona Territory introduced a bill in the U.S. House for the protection of the buffalo, but it never made it out of committee. He tried again the next year by showing other congressmen an illustrated article in Harper’s Weekly that warned of the impending extermination of the buffalo. The illustration by Theodore Davis shows wolves and vultures devouring the carcasses of dead buffalo. McCormick also read letters on the House floor from army officers, Indian agents, and the head of the Society for the Prevention of Cruelty to Animals that urged the federal government to take action. Harper’s Weekly continued to condemn the destruction of the buffalo herds. This cartoon appeared near the time of Grant’s veto, and its theme is later amplified in a full-page cover illustration of the December 12, 1874 issue. The latter sketch, “Slaughtered for the Hide,” shows a dead, skinned buffalo (like the one in the cartoon) dominating the foreground of the picture, as the hunter holds a knife in one hand and the animal’s skin aloft with the other. By the mid-1880s, only a few hundred buffalo existed, located primarily in the area of Yellowstone National Park. The 1872 law establishing the park prohibited the “wanton destruction” of fish or game “for the purposes of merchandise or profit.” Poachers, though, took advantage of the absence of enforcement mechanisms and no funding during the park’s first five years. Conditions were so bad in 1886 that a U.S. Cavalry unit had to police the park. The situation remained much the same until 1894 when President Grover Cleveland signed the Yellowstone Protection Act into law. It banned killing game, cutting timber, or removing mineral deposits upon penalty of fines and jail time. The Earth is not dying-it is being killed. And the people who are killing it have names and addresses. The Yellowstone herds are the last genetic descendants of the millions of buffalo that once flowed through this nation. How could they be treated so irreverently? The Native American people so valued these sacred animals that they called them Tatanka, the ‘Breath of God’, Wakantanka. I am so appalled at this administration’s cruelty and blindness that I literally can’t wait for their demise… and it WILL come, hopefully sooner. No mercy!